Actress Gal Gadot scored the hit of the summer last year when she brought ‘Wonder Woman’ to life in a first stand-alone picture for a female superhero in this century. 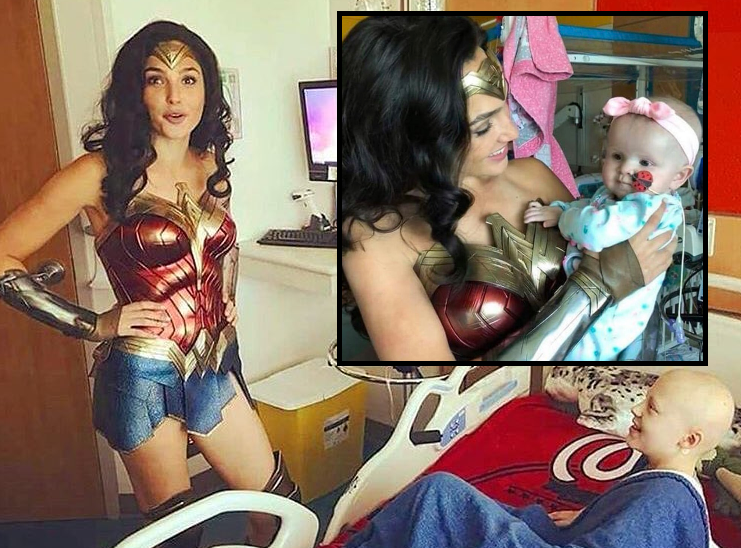 As she was in Virginia to film the sequel this time around, Ms. Gadot took time out of her busy schedule to visit the patients at Inova Children's Hospital in Falls Church, Virginia this weekend, in full costume as the superhero and to the obvious great delight of the children. Ms. Gadot is in town to shoot the upcoming film ‘Wonder Woman 1984’, which will be out in 2019 and is named after the year in which it is set. A first picture tweeted by the movie’s director showed that US military pilot Steve Trevor (Chris Pine) will be back. The first ‘Wonder Woman’ movie was the absolute smash hit of last summer and grossed some $800 million worldwide.